The Chevy Malibu ignites passion for driving and offers exceptional efficiency. If you are looking for a mid-size car that will elevate your style, Vance Chevy Buick GMC in Perry, OK has a great line up of Malibus for you to experience in person. 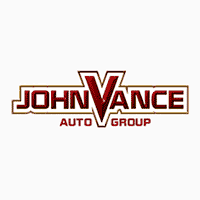 Vance Auto Group has been helping Oklahomans find their dream car for over thirty years. We have 9 full service dealerships in central Oklahoma with lots of preowned Chevy Malibus to choose from. Our Chevrolet dealership in Perry has an awesome selection of new Chevy Malibus so you can find your favorite. Vance Chevy/Buick/GMC in Perry is a quick 30 minute drive from Stillwater, Enid and Guthrie. Come see why we are known for our small town friendly service with a big city inventory. The JD Power Dependability awards are given as a result of 36,000 real owners evaluating their 2015 models for 177 specific problems over a 12 month period. The Chevy Malibu came out on top for the Most Dependable Mid-size Car. It strikes a perfect balance between luxury, sporty, efficient and dependability. The agile design and spacious interior make it a pleasure to drive. Check out our different lines from the Redline edition with its black trim and street smart attitude and the Hybrid edition with an incredible 49 MPG in the City. The Chevy Malibu was the top IIHS safety pick in 2017 with the Driver Confidence package. Our rear Vision Camera, comprehensive Air Bags, and Hi-strength steel Safety Cage are standard. Also available are the Front/Rear Park Assist, Front Pedestrian Braking, Adjustable Cruise Control, and Lane Assist with Lane Departure Warning. On Star Safety & Security Plans with auto crash response are standard the first month. Ask about our Teen Drive program that helps new drivers learn as they drive. Not only is the Chevy Malibu refined but it is equipped with the latest technology with available 4G LTE WiFi so you can take the internet with you where you go, Built-in USB ports, Wireless charging, Apple Car Play and Android Auto. Come visit us at Vance Chevy/Buick/GMC in Perry, OK. Shop our website, if you like. Call one of our friendly not-pushy sales reps. Make the short drive to see our new and used Chevy Malibus for yourself. See why we’ve been in business for over thirty years and customer service is always #1.